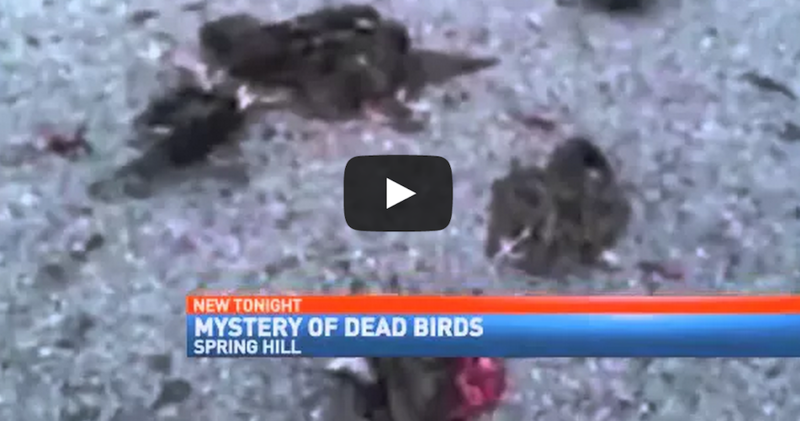 [VIDEO] Dozens Of Birds Fall From The Sky, Dead And Split In Half Before Impact. It’s like an eerie scene of an apocalyptic movie. What made dozens of birds split in half while flying in midair, then dropped to the ground on a Tennessee road? It is still a mystery according to police and wildlife officials who are on the scene working to get answers on how this happened. Officials say they have never seen anything like this before.